The Truth and Reconciliation Commission (TRC) was closely linked to the negotiated settlement which saw South Africa move from apartheid to democracy. It was founded on the Promotion of National Unity and Reconciliation Act of 1995, which held that, in the pursuit of peace and unity, amnesty should be granted for crimes committed under apartheid. It sought to grant amnesty to perpetrators who had acted with a political objective on condition that they made full disclosure of the truth, and aimed to restore the dignity of victims by providing them with a platform to recount their sufferings. It would recommend reparations and present a report in order to avoid the repetition of such human rights violations. The basic premise was that amnesty would lead to truth, which would then result in reconciliation and subsequently democratisation. (3) The TRC was established in December 1995 with the appointment of 17 commissioners by then-President Mandela in consultation with his Cabinet. 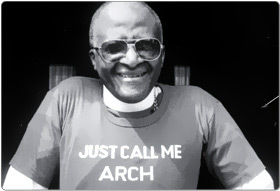 (1) Archbishop Desmond Tutu was appointed as its chairman. (4) Significantly, this process also involved public input. The TRC was to be composed of two committees - the Amnesty Committee and the Human Rights Violations Committee. The assessment of its achievement and the success of its work is no easy task. A large body of both criticism and praise was generated during the TRC's existence and after it closed its doors in 2002. In pure numerical terms, its achievement seems gargantuan. It received 7 700 amnesty applications - thousands more than it expected. Of these, it dealt with 7 115, granted 1 146 and rejected 5 504. (5) The Human Rights Violations Committee took more than 20 000 victims' statements. (1) It worked for six years when only two years of functioning had been expected. (6) It also succeeded in unearthing the truth of what transpired in a great number of cases. In terms of truth, many have pointed to the tensions between psycho-social and legal truth. Psycho-social truth encompasses the subjective story of the victim whereas legal truth is dedicated to 'fact-finding' that has little place for the "experience" of abuse. (8) In this way, factual truth in some ways triumphed at the TRC at the expense of the more cathartic psycho-social truth. The TRC report's intended role as the document of truth also failed. It was riddled with bias and factual errors. Factual truth in some ways triumphed at the TRC at the expense of the more cathartic psycho-social truth. While some startling examples of reconciliation between victims and perpetrators occurred, many have criticised the TRC for its failure to bridge the gap between truth and reconciliation. The assumption that the catharsis and reconciliation of a few would inspire a parallel process for the collective national consciousness was unrealistic. South Africa remained divided, and in some cases these divisions were intensified through the TRC's insistence on peering into the murky past of racial tensions. While the TRC achieved much given the logistical constraints encumbering it, it was also unsuccessful in these and other areas. A May 1995 cartoon by Zapiro depicts Minister of Justice Dullah Omar preparing to enter the haunted house of South Africa's murky and violent past. It shows in a very real way the central goal of the TRC - to face head on and without the denial that could so easily have taken root the skeletons of South Africa's closet so that by confronting them, the country could move forward onto a healthier democratic road. See Zapiro's "Dullah Omar and the haunted house"
Two years later, in May 1997, another Zapiro cartoon reveals one of the failures of the TRC. It had hoped that the catharsis resulting from the revelation of truth would enable the nation to leave its old divisions behind. However, as the cartoon reveals, Tutu and his commissioners came to the end of their work only to realise that the map leading them to their destination of reconciliation was suffering from a glaring gap, and that reconciliation was still out of its reach. See Zapiro's "Tutu and the map to reconciliation"
1. Hamber, B. "How should we remember? Issues to consider when establishing commissions and structures for dealing with the past". Centre for the Study of Violence and Reconciliation, December 1998. 3. Simpson, G. "A Brief Evalution of South Africa's Truth and Reconciliation Commission: Some lessons for societies in transition". Centre for the Study of Violence and Reconciliation, December 1998.